Do I have to take a First Year Experience (FYE) course? First-time Freshmen and Provisional Students are required to complete FYE during their first year in the fall or spring semester. Students may fulfill the FYE requirement by successfully completing a first year seminar (one course) or a learning community (two courses). Each option includes a 50 minute weekly synthesis seminar (FYSS) led by a peer facilitator. Students can review the course options available on the courses part of the website. Email fye@cofc.edu with any questions. First-Year Seminars (FYSE) are small courses (generally between 18 and 20 students) that are taught by roster faculty. The courses focus on a narrow topic and introduce students to the research and writing skills of a particular discipline. Those skills will be applicable to all classes students will take at the College. FYSEs engage students in group work, class discussion and debate. 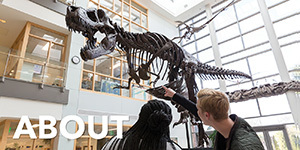 Outside-the-classroom opportunities for socializing, class trips and getting to know faculty and other students who might share similar interests are plentiful. 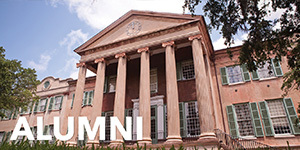 In combination with their other courses, FYSE courses offer students an excellent introduction to the academic life of the College of Charleston. A Learning Community links two or more courses, often around an interdisciplinary theme or problem. 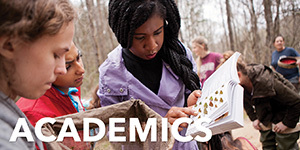 Faculty who teach the courses may create cross-course assignments, schedule class activities together, and explore meaningful connections between the community courses and disciplines. These linked courses encourage students to make connections between their other courses and see how interdisciplinary courses can be related. What is the Synthesis Seminar (FYSS)? The synthesis seminar is a requisite component of first-year experience. A peer facilitator leads the weekly, hour-long seminars; the topics under discussion range from issues related to the learning community or first-year seminar courses to college life in general. In addition to covering material on the transition to college, peer facilitators work with faculty to construct and lead discussions with their students to help them synthesize material covered in class either to their other classes or to their own lives. Students interested in a fall FYE will enroll during orientation. Students who complete the requirement in the spring will receive email instructions on how to enroll. Do these classes count toward graduation or general education requirements? Some FYE classes do count toward credit hours for other general education requirements. Depending on the FYE selected the hours earned may count toward credits in other general education requirements, major or elective credits. Completing an FYE course is a degree requirement. I’m an Honors Student or Teaching Fellow. Which FYE do I need to take? The Honors College offers one FYE course selection during the fall semester for all Honors College students called Beyond George Street. Honors College students will register for this class during orientation. Students who are selected as Teaching Fellows will enroll in the first year seminar designated for Teaching Fellows during the fall semester. How many hours can a student earn by taking FYE? Most FYSE courses are three credit hours. 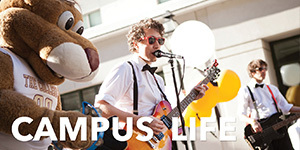 Learning communities include two courses that may range from six to eight credit hours. Any learning community that includes a science course will also require a lab. How many FYE courses can a student take? Students can take only one FYE during the academic year. Are FYE courses harder than other first year courses? The First-Year Experience (FYE) is designed to assist first-year students with their transition to college as well as providing academic support and skills training that will help in all classes. The courses are not harder than other courses but will be challenging and provide an exciting introduction to academic life. Are there any other requirements to enroll in any of the FYE course options besides being a freshman? Learning communities that include a math or science will require a review of the ALEKS math placement test score. What if the student receives AP credit for a course after selecting FYE? Some learning communities may include an English, Math, or Science courses. Since incoming students will not receive their AP scores until July, advisors will check enrollment when AP credits are received by the institution to ensure that students are not taking a course for which they have AP credit. Students who think they will have AP credit for a particular subject area should consider a FYE that does not include these courses. What if the student plans to major in science or math – is there a FYE choice that works best for these majors? Learning communities that include science courses with designations of 111 such as BIOL 111 or CHEM 111 should be recommended to those students planning to major in science or math. Science courses with a 101 designation such as CHEM 101 or BIOL 102 are recommended for non-majors. There are also first year seminars that focus on science or math. How does a student enroll in a spring FYE? An email will be sent to students about how to enroll in spring. Any student not enrolled in a fall FYE must complete the requirement for the spring. All students are required to be pre-enrolled in their spring FYE so it is already in their schedule when they register for their other spring courses. Will FYE Abroad fulfill my FYE requirement? Unless otherwise noted, the FYE abroad spring break opportunities do not fulfill the FYE general education graduation requirement. What if I have a hold from FYE? Students may have holds on their accounts for a variety of reasons. 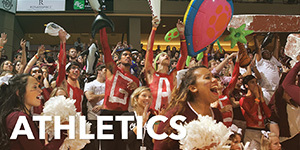 Please contact FYE directly about the FY hold via email fye@cofc.edu or phone 843-953-2153. When inquiring about holds please be sure you include your name and CWID in all correspondence. What if I fail or withdraw from my FYE? Students required to complete a First Year Experience must complete it within their first three consecutive academic terms. Once students begin the FYE, they must be continuously enrolled until they have completed the requirement. For students entering in the Fall, the consecutive academic terms include Fall, Spring, and Summer. For students entering in the Spring, the consecutive academic terms include Spring, Summer, and Fall. If students fail or withdraw, they will be required to enroll in an FYE the next semester. If a student fails one of the two courses of their learning community, their faculty members and the FYE Director will decide if they complete the graduation requirement (students will be notified of the decision via email). What if I receive an incomplete (I) grade in my FYE? If a student receives an incomplete, they will need to work with their faculty member(s) to complete the course in 60 days or the grade will automatically become an F. If the grade becomes an F, the student will have to take another FYE. 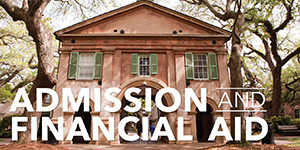 Please see the College of Charleston policy on incomplete grades at http://registrar.cofc.edu/grades/index.php. What office do students contact with questions about FYE?